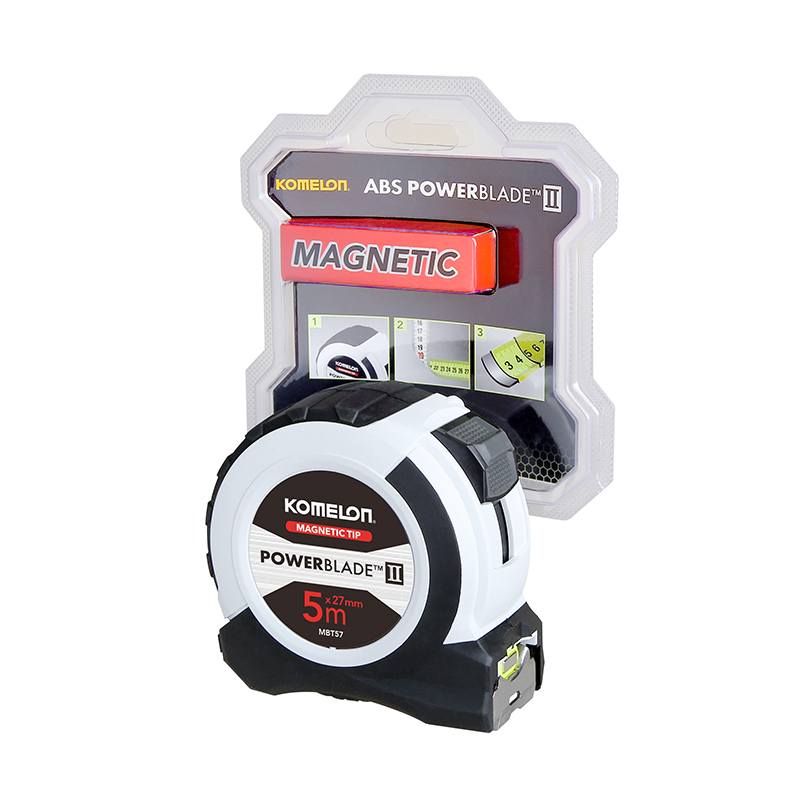 Komelon 5m x 27mm Powerblade II Tape Measures are inspected through the automatic manufacturing process to guarantee accuracy and workmanship. 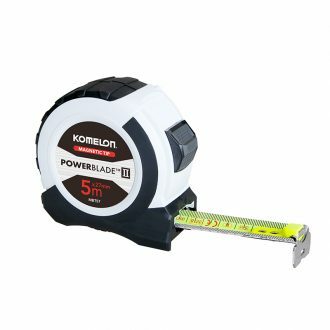 Komelon uses high grade carbon steel that ensures consistent and uniformed blade thickness and hardness by their own developed cold-rolling process and heat treatment techniques. 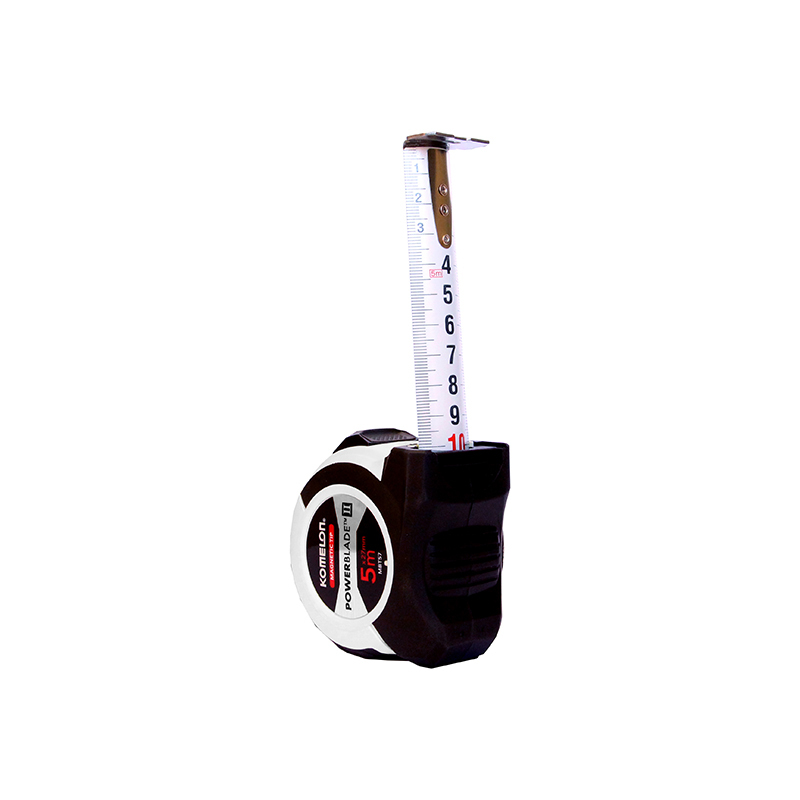 This provides durability that resists kinking and bending while using. 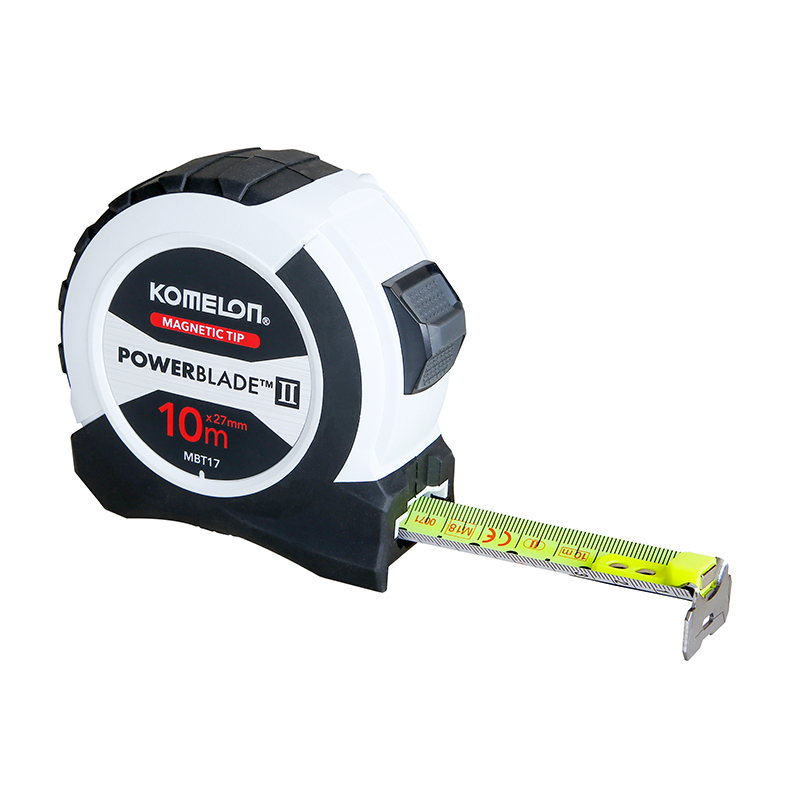 Komelon 5m x 27mm Powerblade II Tape Measures are constructed with deburred edges. Rough edges cause corrosion and rust but with the deburring treatment, it prevents the rough blade edges from early corrosion and cracking.